Trying out this new lens for my India trip. Its a beauty. Very sharp, but a bit bulky. The second pic is a closer crop and you may notice the slightest shake. Hand held, of course. We leave for Mumbai in a few hours. Panicking and packing till the last minute. If anyone wants to get together in Mumbai, send me an e-mail. Traveling out of Mumbai till June 10th. Heard its sweltering! Limcaaaaaaah! 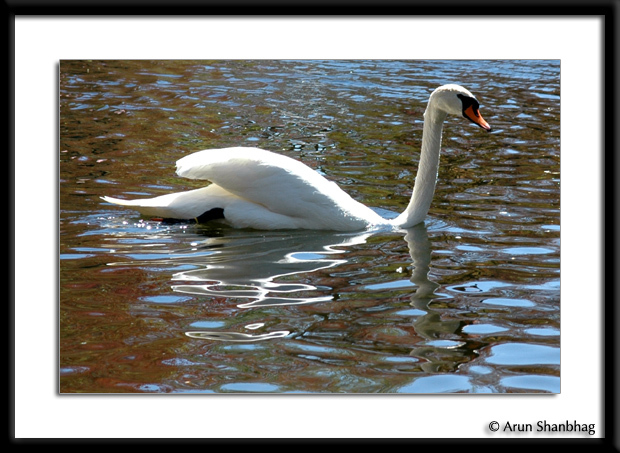 Swan in the Boston Public Garden! 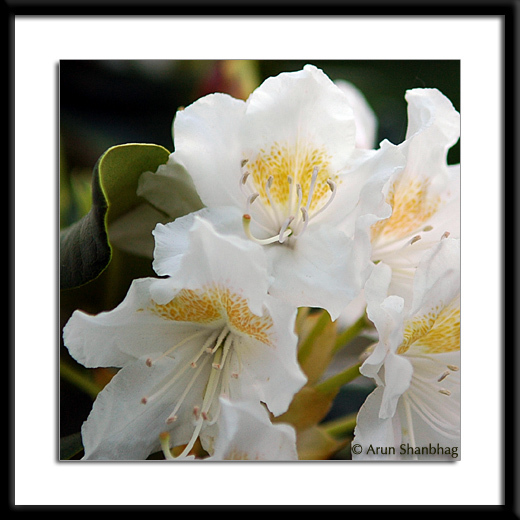 Planted this rhododendron in our garden last year. WoW! Never looked closely at the blooms. So pretty! I cut a bunch and placed them in a vase in my kitchen. A swarm of ants followed 😦 The ants completely ate the nectarine base of each flower :-(( Next time I see these rascals on the road, I&apos;m gonna run them over.